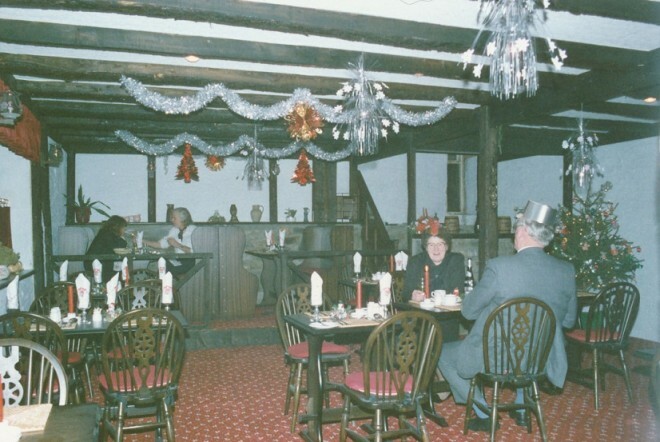 The Blackwater Inn was opened in 1985 by Ivy Bailey and her family. It has now closed. Hear Ivy’s story here, and to see some old brochures for the inn click here. Exterior of Inn in the summer. 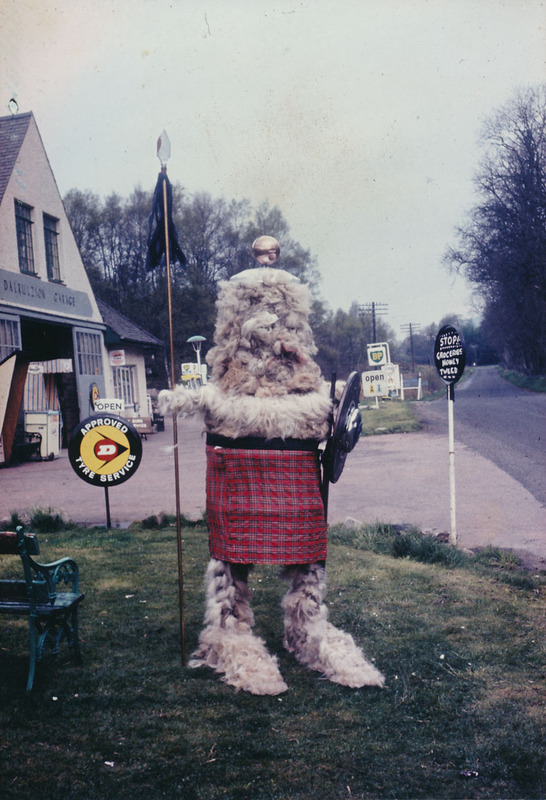 In the 1960s, 15-20 years before the Inn opened, the building was a garage which had a cafe called The Haggis Trap. 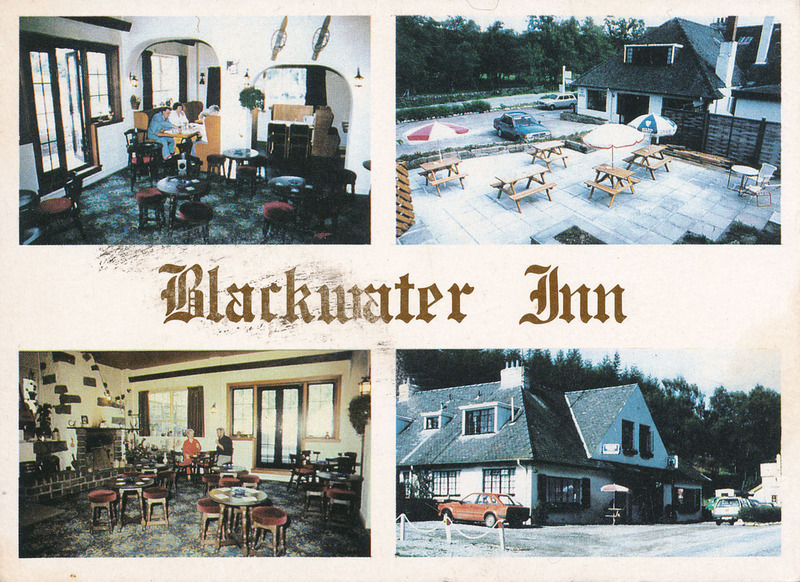 Illustrated front side of a postcard-sized advertisement for Blackwater Inn. 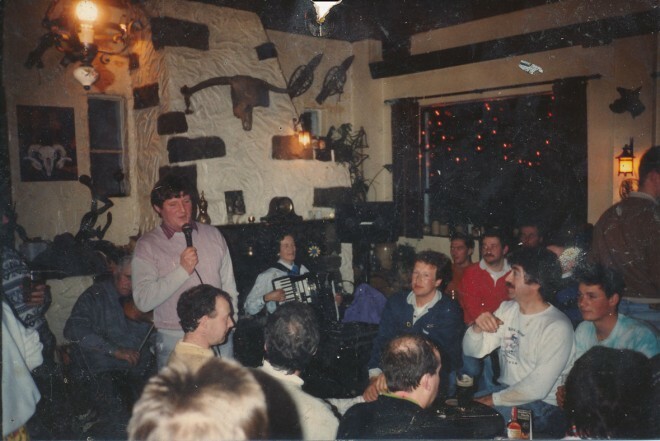 A packed Blackwater Inn watching a performance. Ivy says that people sometimes couldn't get through the doors, they were so full. The band Texas Moon, plus Ivy's son Allan on a New Year's Eve at Blackwater. A biker/ski group that regularly visited the Inn when they came to Glenshee. Exterior of the Blackwater Inn. 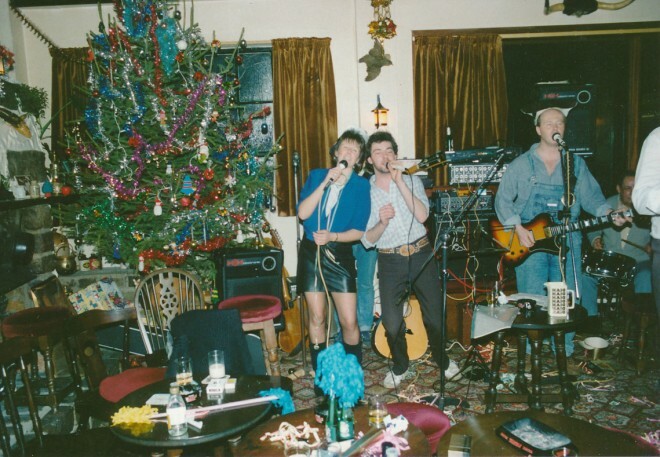 This page was added by Sally Gingell on 11/11/2013. Did this use to be The Glenshee Inn in the 1970s run by a man called Ron and his wife? Dave Dalrymple had a ski hire shop next door. 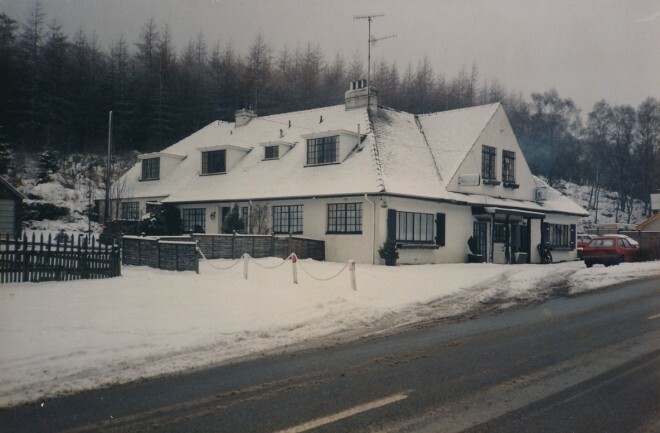 Did this used to be the Glenshee Inn in the early 70s? 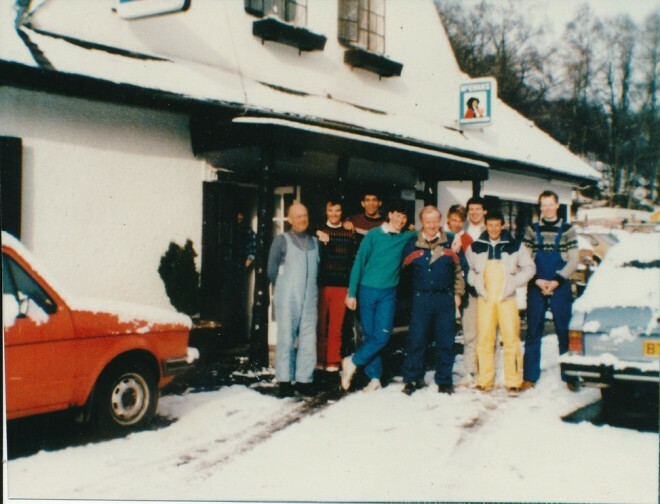 Think Ron was the manager/owner at the time and Dave Dalrymple had the ski hire next door. John King used to bring people up from Glasgow for the weekend. High tea and ceilidhs at Ma Flemings and magic nights at the Spittal. 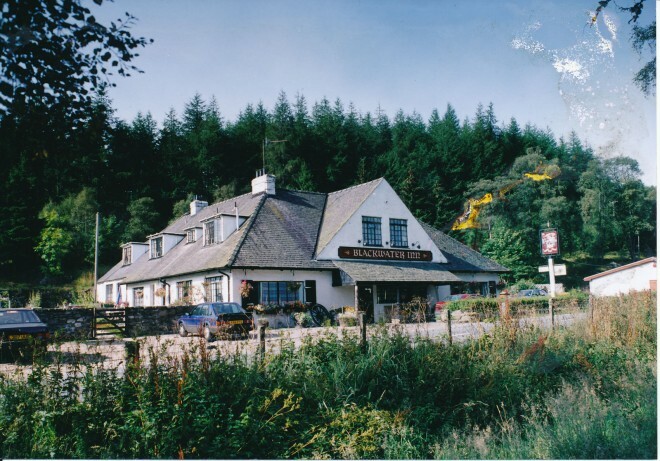 Stayed at the Blackwater in the 90s. An interesting American gent, possibly Texan, was in charge on that day and breakfast was served by a lovely lady. A local tug of war team came in mid evening and livened the place up ! Wow, brings back memories. I was an Aussie working a snow season as a barmaid at The Blackwater Inn in 1987/88. 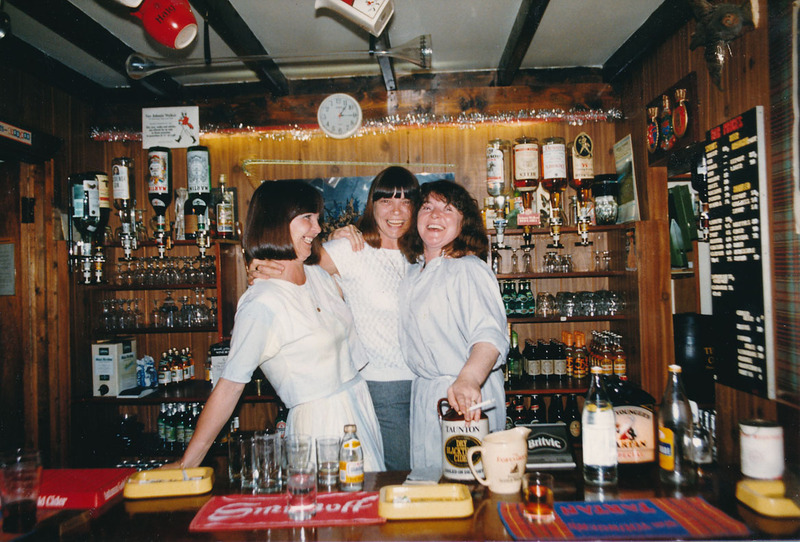 Lived in the staff accommodation up the road. 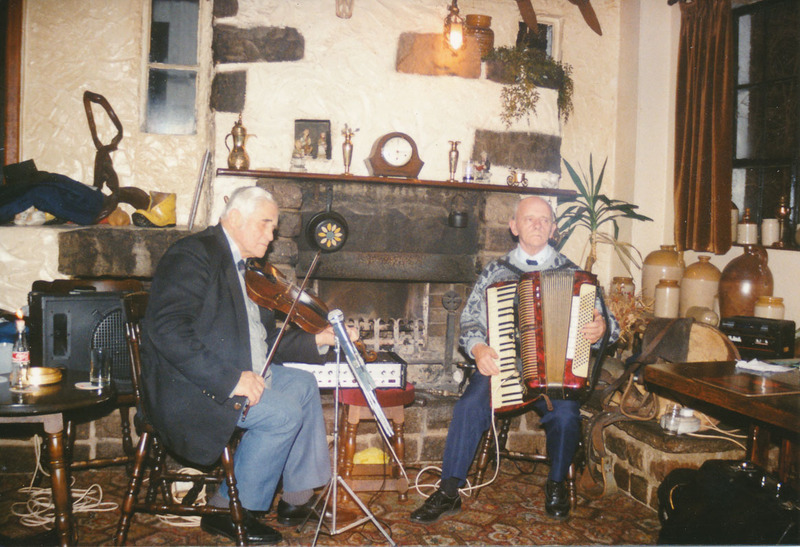 The accordionist with Jim Petrie is Jim Fairweather.